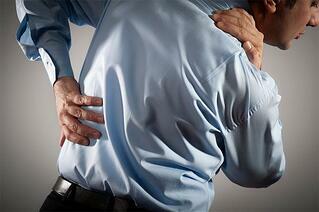 When you are injured or experiencing pain, there are many ways a Chiropractor can help. Even when you are fully recovered there are multiple benefits for seeing a chiropractor on a wellness basis. When many people are suffering from chronic pain, they take pain medications to offer some relief. This, however, is only masking the symptom for a short time; it is not fixing the problem. Chiropractors treat the cause of your pain which in turn alleviates the symptoms. If you are suffering from neck pain, a chiropractor will use spinal adjustments and manipulations to correct the problem and relieve your pain symptoms. Chiropractors look specifically at the nervous system, which controls breathing and the movements we make. Because the nervous system runs up the spine and radiates through the entire body, chiropractors believe in the importance of spine health. It is a chiropractors calling to eliminate the cause of the condition so the pain symptoms associated with the problem can be eliminated as well. Chronic pain patients tend to be familiar with pain medications. Chiropractic treatment offers an alternative to pain medications. Anyone who wants to reduce the amount of medication they take or eliminate medication altogether, chiropractic adjustments can provide drug-free pain relief. There are various techniques that chiropractors can use to treat pain conditions, none of which are invasive or require surgery. For many patients, this is a huge benefit of chiropractic care. Many people who suffer from car accidents seek chiropractic care after suffering an injury. In many cases, car accidents can impact a person's life, causing significant pain and reduced mobility. The Chiropractors at Arrowhead Clinic, tailor their treatment plans to address each patient's unique injury and pain levels. They also provide the proper documentation needed for accident injury lawsuits. A good chiropractor will be able to suggest a series of stretches and exercises that are specific for helping your pain condition. Your Chiropractor will also be able to educate you on nutrition, stress management, and lifestyle goals in addition to treating your pain or injury condition. If you have been injured in an accident or experiencing chronic pain, you may need a Chiropractor to help with your recovery and wellness. "The Doctors of Chiropractic at our Georgia Clinic have been helping those who are suffering from an injury or pain condition for nearly 40 years." We have the skills and expertise needed to help with your recovery. There are many benefits to chiropractic care and if you would like to discuss how our Georgia Chiropractors can help you, click on the link below for a free consultation today.